There has been a long-running battle with a long-time poker player, Phil Ivey, and a casino in Atlantic City. The casino and Ivey have been in litigation since 2014. 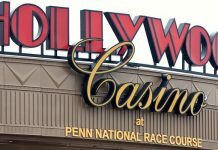 This week, another court ruled in favor of the casino. That means Ivey may end up losing his shirt. It could also ruin the reputation of the hall of fame player. Little is known about Ivey’s childhood and teenage years. He began to gamble in Atlantic City as early as high school when he used a fake ID. He began to really develop his poker playing skills by playing against his co-workers at the telemarketing firm where he worked. They would play when things slowed down. 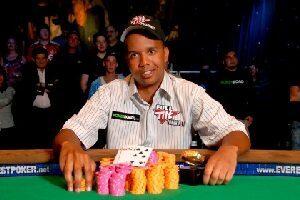 Ivey began playing in poker tournaments in the early 2000s and has won 10 World Series of Poker bracelets. He has also won dozens of other tournaments. So far, his largest tournament take was $1.6 million during a World Series of Poker tournament in Las Vegas. He often plays with Cheung Yin “Kelly” Sun. Their relationship has been both sour and sweet, depending on the day. Ivey and Sun have made famous the technique called “edge sorting.” Edge sorting means that card players exploit the defects that sometimes exist with playing cards to gain an advantage. Many casinos consider edge sorting to be cheating, especially when dealers turn cards at the request of the players. However, some players have stated edge sorting is a perfectly legitimate way to gain an advantage over the casinos. Ivey first got into trouble in 2012 at a casino in the United Kingdom using the edge sorting technique. He began with staking himself $1.5 million at a punto banco table (a form of baccarat) and won $11 million. The Crockfords Casino suspected cheating and refunded his original $1.5 million stakes. The casino promised him it would wire him the money later. However, the casino refused to pay him because it felt he cheated. Ivey sued the casino for payment. He lost in the U.K. High Court because the court determined that edge sorting was cheating, according to the law. Ivey (along with other players) expressed in court that edge sorting was not illegal. They also said the casino could have protected itself if it had checked the cards before it used them. The High Court said that because Ivey used a dealer to turn his cards around, he knew he was cheating. The High Court said he was not eligible to receive his money. The same year Ivey ran into trouble at the U.K. casino, he and his partner also played at the Borgata. As in the U.K., Ivey tried edge sorting to exploit the manufacturing defects on the backs of the cards. He wanted to gain an advantage over the casino, even if it was a small advantage. After a couple hours of gambling, the casino’s security officers began to take notice. Ivey and Sun were making “unusual” demands on the dealer. The pair won $9.6 million from the casino. The casino did not want to pay the couple the money they earned. However, it did not have enough evidence at the time that the pair was cheating. 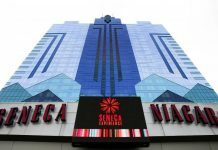 However, the casino later sued and won a judgment for $10 million. It used video evidence that appears to corroborate the casino’s claim there was cheating going on. Ivey has been battling the Borgata casino ever since, but his appeals have, so far, been denied. In addition, the interest continues to add up. So, in the end, Ivey may owe the casino a lot more than the $10 million judgment.